(TibetanReview.net, Feb23, 2017) – More than 340 people attended a Tibetan women’s empowerment conference inaugurated at Dharamshala, India, on Feb 21, the first time such an event was organized by the Central Tibetan Administration. 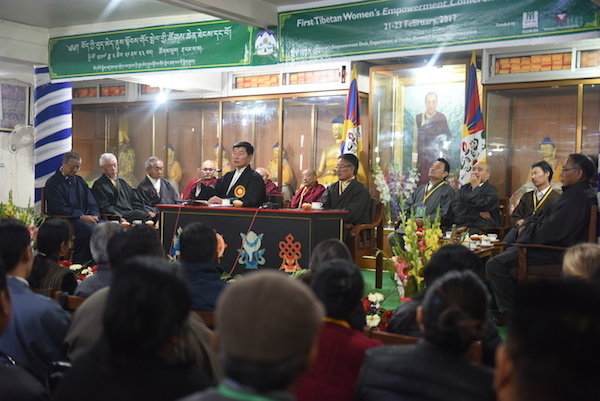 The three-day ‘Tibetan Women’s Empowerment Conference’ was inaugurated by the executive head of the exile Tibetan administration, Sikyong Lobsang Sangay. He also declared that Mar 12 will henceforth be observed as “(Tibetan) Women’s Day”, said the exile administration on its Tibet.net website Feb 21. The day is currently marked unofficially as Tibetan Women’s Uprising Day. The objective of the policy, drafted by senior women officials of the exile administration, was stated to be to make Tibetan women equal partners in all aspects of Tibetan society, including in the areas of human rights, Education, Health, Economy, Governance and Leadership, Social, and Sexual and Gender-based Violence.